Home > Dog Health > Nutrition > What Are the Benefits Of Auto Ship Dog Food? What Are the Benefits Of Auto Ship Dog Food? 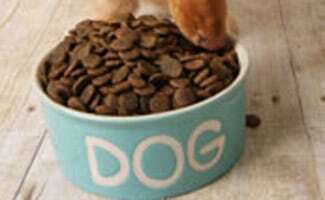 Recent trends have resulted in many more dog owners making their dog food purchases online. Such a practice not only leads to more responsible pet ownership but also cost savings for dog owners. Let’s take a look at some of the benefits of online dog food shopping and online auto-shipping programs. 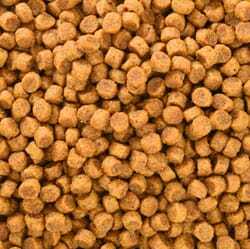 The most important consideration when picking your online dog food resource, however, is always going to be reputation. The Subscribe and Save service from Amazon is one you can trust, especially if you have confidence in their ability to deliver on other purchases you make. However, it is obviously run by a large corporation but this means they have plenty of consumer reviews available. Another company you may consider is Chewy.com, a large online retailer that specializes in pet products. Scanning through customer reviews on the website is the easiest way to see the best and the worst about a company, service or product. In the case of Amazon or Chewy, be sure to read the reviews of the actual dog food product you wish to receive to see if it one your pet is likely to enjoy. 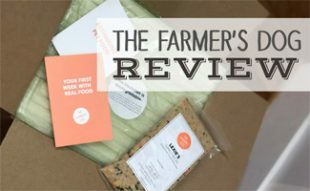 Looking for a fresher product with real ingredients that you can pronounce? Check out Pet Plate. Here is a list of additional factors you should considered when buying dog food online. Each online dog food vendor sets their own price point and, depending upon the size of the establishment and their relationship with vendors, the variance can be remarkable. Large companies like Amazon and Chewy.com have such a significant stock capability that they can purchase in bulk and pass their savings on to consumers. This discounting cannot be offered by smaller privately owned companies. Many companies that offer extremely discounted products make up the total cost difference by inflating shipping costs. If, however, dog food costs are average or above average, combining them with inflated shipping costs is simply not a sound financial choice. Many of the Subscribe and Save service from Amazon come with Free Super Saver Shipping on orders over $25.00 and a savings of up to 15% per item. 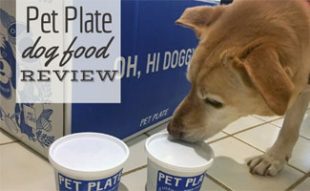 Some online dog food delivery companies offer flat rate shipping services; however, these generally require minimum purchase amounts or maximum weight restrictions so be sure to read the fine print. The majority of online stores have a wide array of dog foods to choose from; however, if your dog’s food is not one of them, then all the price saving in the world is pointless. Before shopping with an online store always ensure that they carry your dog’s food. If you are on a very tight budget and find a great deal with an online store that does not carry your dog’s food, find a comparable food that has the same ingredients as your dog’s usual food. Keep in mind that dogs require a slow transition when changing their food. Auto-shipping is a service that allows pet owners to set up delivery of their preferred dog food brand on a regular schedule. Setting up your dog food on Subscribe and Save with Amazon is as easy as making your first purchase and selecting repeat delivery! There are a number of benefits to using auto-shipping. When selecting auto-shipping online, dog food purchasers not only get the discount prices of online purchasing but they frequently get additional discounts. The perfect example of this Amazon.com’s Subscribe and Save program. When signing up for auto-shipping, purchasers receive up to 15% discount on every order they receive. In addition to this, Amazon customers sometimes are offered manufacturer coupons on certain dog foods. Listing of dog foods included in the Subscribe & Save program from Amazon. As a dog owner, it doesn’t take long to figure out how much food your dog goes through in the average week. Auto-shipping allows for you to set up a delivery schedule that works based on your dog’s eating schedule. Most dog owners begin with a large bag of food (around 30 to 33 lbs.) for their first delivery; this allows them to determine just how long it takes for their dog to finish the bag. Once that large bag is almost finished, it is possible to determine how far apart to set deliveries. After that, the dog food delivery schedule is set and automatically dispatched and charged to the credit card on file. One major concern for some dog owners is the weight of dog food bags, particularly when purchasing large bags or multiple bags at once. 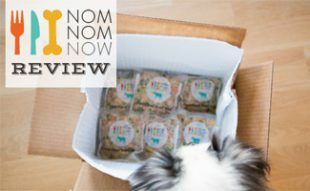 In some instances, dog owners need to purchase multiple foods to cater to multiple dogs, in other instances it is simply more convenient to stock up by purchasing multiple bags of food at once. Whatever the reason for “bulk purchasing” dog food, auto-shipping and online shopping makes the process much less of a hassle by delivering food right to your front door. In some instances, delivery services may even place the delivery inside your home if requested. This means no more lifting heavy dog food bags off shelves and in and out of shopping carts and into car trunks… only to have to lift it out of the car and in to the house afterward! With the current cost of gasoline and what seems like its ever increasing cost, auto-shipping can also be a big saver for families that do not live near a pet food store. 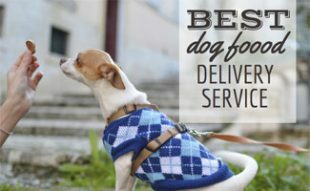 Rather than driving to the store, now anyone on a delivery route can have their dog food delivered right to their home! It is important to note here that once in a while even online pet food delivery suppliers must increase their cost to cover increased shipping charges; however, these increases are far less often and far less significant than those seen in gasoline prices. Most dog owners at one point or another have neglected to notice that their current bag of dog food was running low. In fact, it usually happens more than once and while. The problem is that not all local stores carry specialty foods and lesser known dog food brands and this means that if these owners forget to re-order their dog’s food, then the dog suffers. With auto-shipping, deliveries arrive like clockwork based on a schedule that you set which means you will never have to worry about overpaying or your dog missing a meal again. It is not recommended to skip a dog’s meal. In these instances dogs should be fed a similar kibble or a homemade diet that caters to their allergies until a kibble delivery is received. One reason that many people avoid setting up auto-delivery is because they don’t always go through a single bag of kibble at the same rate as they did in previous months. While most pet owners go through their dog food on a fairly consistent basis, if this is a concern for you, you should be aware that services like Subscribe and Save from Amazon allow for delivery schedule adjustment. After the initial setup, you are able to log in to your online account at any time prior to your next shipment and adjust when the next bag of dog food will be sent. Dog owners find this most helpful when they leave town for vacations or if they find a bag of kibble lasts a few weeks longer than it usually would. Auto-shipping is also a good choice for those who travel frequently. In this day and age, many people have frequent business trips or even two homes that they bounce between. If you find yourself living out of two locations most of the time, auto-delivery can be helpful because it allows for you to have your delivery sent to whichever address you need it sent to at the time. For example, if your next delivery is set to be delivered to your home in Albuquerque, New Mexico but you will be staying in your New York apartment during that week, you can simply have your delivery re-routed there. Additionally, if you want to plan ahead for vacations where you will be staying with family, you can have your dogs food shipped directly to their home to save a little room when packing up the car! Auto-shipping details vary based on the dog food provider. Let’s take a look at Subscribe and Save service from Amazon. If I set up auto-ship on an item that is on sale at the time of purchase, will I always get that price with my auto-shipped item? Yes, you will always get the currently published price for your shipment. So if an item is on sale at the time of shipment you will get that sale. Can auto-ship items be changed? At any point before your shipment is sent out you can add any item to your existing auto-shipment or change the quantity of items already in your auto-shipment. Keep in mind that Amazon has thousands of different categories of products available for this Subscribe & Save service so you can add any of these items as well to your dog food order. Can auto-ship be canceled? Auto-shipping can be canceled at any time and your next shipment will not be delivered so long as it has not been sent yet. If you cancel after shipment, then your account will be canceled after that transaction is complete. What if my food is out of stock? If your dog food is out of stock at the time when your auto-shipment is supposed to be shipped, you should receive an e-mail notification. However, we have not always seen this email. I suggest that you log in 2 weeks before your order to make sure it still includes everything you want to receive that month. If they confirm then that it is coming (you will already see it in your list of Orders but with a future date), than you can expect to receive it. Is Auto-Shipping Right For You? There are many cases where auto-shipping is a good option, but in a few cases, it may not be the best option for you. You have a reliable food that your dog enjoys and has been eating for awhile. You have a special needs dog that relies on a hard to find ingredient combination. You have a busy lifestyle that prohibits you from heading to a pet food store regularlyY. You frequently forget to re-order dog food or frequently run out of dog food. You want to lock in a regular discount on your favorite brand of dog food. You have a picky dog that likes variety in kibble “flavor”. You frequently receive coupons offering better discounts than offered by auto-shipping. Your dog requires a special type of dog food that is not available online. Why have you not switched to auto-ship your dog food yet? Now a days its so nice to have the option of having these types of services available. Especially for something you buy regularly like dog food its good to know that you can pay to have it delivered versus having to go to the pet store all the time. While it may cost more it's worth it in the long run to have the convenience of shipping dog food to your house. That way you are proactive and never out of food for you pup. I highly recommend this service to anyone considering it.